Popdose: The obligatory first question, I guess, is to ask how you found your way into the cast of Silver Bells in the first place. Did they come looking for you? 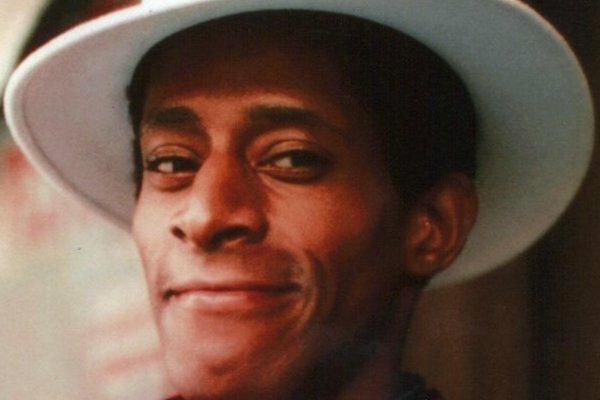 Antonio Fargas: A combination of them looking for me and… I had the foot off the gas of my career. I let my manager do his job, and there was a point where I was always calling my agents and all that, going, “What’s next? What’s next?” But I finally knocked on my head and said, “Antonio, you have a 53-year career behind you. I think you’ll get another job.” [Laughs.] So this one landed, and it was a wonderful experience to be working with Bruce Boxleitner after all these years, and to be a seasoned veteran leading a wonderful cast in a nice, feel-good story. Popdose: Can you kind of sum up your character, the Major, in a nutshell? AF: Well, Bruce’s character is a driven guy, like so many people I saw when I was a soccer dad and a football dad. He’s a sports announcer and a former jock who, like a lot of sports people, finds himself with anger management problems and adjusting to life, and he’s got some comeuppance coming to him when his anger management causes him to do community service with the Salvation Army. And that’s where he meets Major Lowell, who sort of becomes his guide – like in A Christmas Carol, when Scrooge goes to sleep and is taken by the spirits of Christmas – to come out on the other side and see that giving and a little humility can open his eyes to the world that’s going on around him. Popdose: Looking through your back catalog, it looks like this is the first actual holiday movie you’ve ever done. AF: Yes, it is. Although I did a holiday record once. [Laughs.] Some people came over, and I did a Christmas 45 for England. But this is my first movie that’s geared towards Christmas. Popdose: Okay, now you’ve piqued my curiosity. What’s this 45? AF: It’s called “It’s Christmas.” And it was a story I made up, along with a jingle, that goes [Singing.] “It’s Christmas, it’s Christmas / Have a, have a happy time / All through the year we’ve waited / All through the year we’ve worked / All through the year we’ve prayed so hard / To see this day, oh, lord / It’s Christmas, it’s Christmas…” It’s a simple song. [Laughs.] And then I was able to write something else about Christmas for the B-side called “Christmas Eve 1953,” and it’s sort of about the evolution of a man, who’s looking at himself in the mirror and hears a kid’s voice saying, “Give me a dime,” and then he realizes that the kid was him on Christmas Eve 1953. It was a nice little song. But, anyway, that’s my musical career: those records! AF: Oh, whoa! [Laughs.] Actually, you know, I also did Romeo and Juliet with Martin Sheen (in 1968), where I played Balthazar and Solomon. That was with Joe Papp. And then I played the executioner in As You Like It. But, yeah, I had some wonderful times at the New York Shakespeare Festival. Getting to do those plays in the Park… It was great. Popdose: So what’s your back story as an actor? How did you get into acting in the first place? AF: Oh, boy. [Laughs.] When I was an infant, my mother said it sounded like I was singing, I had such a great voice. When I started out… Well, there weren’t that many when I started out, but I ended up being one of eleven children, and I was called the lawyer in the family, because I was sensitive, and I was a problem-fixer. I guess we have a label now where you’d be called an “adult child.” But when I was 14 years old, there was an ad in the newspaper where they were looking for young African-American men to play in a film about gangs, likening it to West Side Story, except the story was set in Harlem. Popdose: So was that film The Cool World? AF: The Cool World! Yeah, that’s it! From there, I started doing theater, which was a big part of my early career, because…I was doing a play called The Toilet by Amiri Baraka, who was called LeRoi Jones back then, and I was cast in a play that was going to Europe called Amen Corner, which was on Broadway at the time. But they were doing a European tour with it, and it was before I got out of high school, so my mother and father had to pick up my diploma! [Laughs.] I had to be on a plane and off to Vienna for a European tour! The play was by James Baldwin, and it ended up playing in France, Germany, Switzerland… I got so much knowledge out of it! When we ended up in Edinburgh, Scotland, some of the representatives for Brian Epstein, the Beatles’ manager, saw the play and talked to Brian, who had just purchased a theater where he was putting some of the rock ‘n’ roll acts. It was called the Saville Theater, and it was in the West End of London. So I worked with the Beatles’ manager in…this was 1966, so it was about a year before Brian Epstein passed. I worked on the West End, and I turned 18 when I was in Jerusalem and bathed in the River Jordan. Well, I put my feet in it, anyway. [Laughs.] I had to! But I have so many wonderful memories of that trip. And then you segue into the wonderful memories of working in the freezing cold in Michigan in Silver Bells. That’s my career arc! But there’s so much in between, of course. All the films and the series…. Starsky and Hutch and All My Children, Car Wash, Pretty Baby with Brooke Shields when she was 12 years old… When I look back, I just go, “Wow, how did all that happen?” And all I can say is that I’ve just really been blessed. Popdose: Is there any particular project you’ve worked on over the years that didn’t get the love you thought it deserved? AF: Wow. That’s like when people ask me, “What character do you really enjoy?” They’re all like my children, and I can’t pick one over the other. And being a character actor, I didn’t have that much vested, anyway, you know? I was just vested in my character, my pixel of the picture, so I didn’t carry the weight of the whole project. Some things have turned out in hindsight to be very moving pieces, but I generally just do the work and let the editors and all of those folks put me into the mix. I just think it’s so important to be true to the characters that I play, because I play such diverse kinds of characters that I didn’t want to portray a false note. It was said in one of those documents that they did on me that I was “doing gay roles before it was popular.” Now everybody’s coming of age with alternate lifestyles on television and film. There was a book called The Celluloid Closet that I was interviewed for, about people who took a chance and played those kinds of roles and their commitment. It’s so easy to see when actors say, “This isn’t me, I’m just acting at it.” But when they’re really invested in it… We have a responsibility to the people we represent, and when I take a role, it’s not to be able to say, “I know a Huggy Bear,” or “I know a Lindy” (from Car Wash), or “I know a Bernstein,” from Next Stop, Greenwich Village. This is not a game to me. I take it very seriously. Popdose: I have to tell you, I’m a huge fan of Everybody Hates Chris. It was nice to see you turn up on there so often. The role in Silver Bells, for instance, it’s not what I usually do, but when they wanted to someone to interpret the role… I guess I have a reputation of being able to do the dirty work and do some of these characters roles either didn’t have the courage or the facility to pull off. I just call myself a cameo specialist. [Laughs.] I was a cameo specialist back in Starsky and Hutch! I’d have one little scene, two scenes max, but my portion became a major part of the matrix of what made Starsky and Hutch so tight. Popdose: I know we’re short on time, but I’m just curious: when you look back on your career, do you see Putney Swope as the turning point for you as an onscreen actor, given that it was your first role of real note, or was it something else? AF: Um…I think Putney Swope was an aberration, because nobody took (Robert) Downey seriously except, y’know, the New York people, the Greenwich Village people and the people who were doing alternative, strange kind of things. I think it was Across 110th Street…no, no, no, it was Shaft! I did a small little cameo role as this guy on the street, and I think that character sort of cemented me. But Putney Swope certainly was easy for me to do, because I used to run around Greenwich Village and dress kind of strange, and when I met Robert Downey, Sr., we had a simpatico, because he knew how to pick the right guy to sit in the right seat on the bus for the life of the project that he was doing. It was this mélange of people, a real circus, sort of very Fellini-like. But in terms of the straight up Hollywood starting to make my inroads, I guess it was Shaft. Popdose: Well, I know this has been short, and I hope to talk to you again for a longer period of time, but I’m glad we got to chat about Silver Bells and a few other things as well. AF: Well, I enjoyed it, and I look forward to the next opportunity!